Tracey Gear & Precision Shaft is a spur gear manufacturer for customers throughout the United States and Canada. 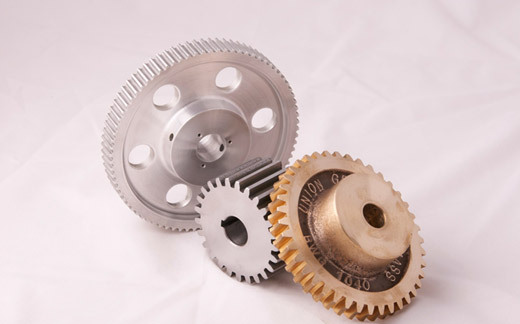 Spur gears are the most common type of gear and generally manufactured as a disc or cylinder, with high quality materials such as: Steel, Stainless, Bronze, Aluminum, Nylon and Fiber. There are two main manufacturing processes for the production of spur gears under 36” in diameter, which are shaping and hobbing. As a full service manufacturing company, we have the machinery in house to accomplish both of these processes. Due to the controlled manufacturing processes in our plant and our extensive knowledge and experience in the industry, our spur gears are known for their overall quality, reliability and durability. As a premiere spur gear manufacturer for industrial and specialized industries in the United States, you can be sure that our company will provide you with the right gear requirements for your application. Our company is an ISO 9001 certified one stop location, for your entire spur and shaft needs. As a full service manufacturing facility, we welcome your standard and custom orders. Please send us your requirements.